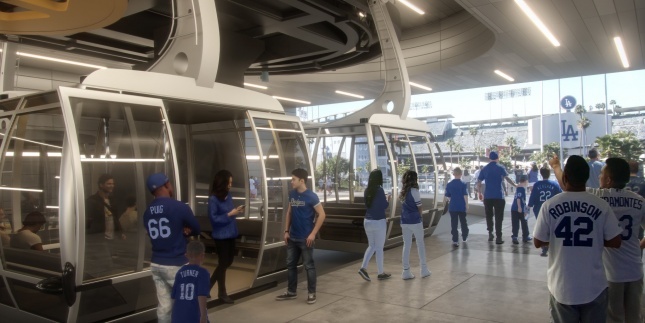 Aerial Rapid Transit Technologies, LLC has announced plans to construct a gondola system that would take passengers from the Los Angeles Union Station to Dodger Stadium. The $150 million plan was submitted to L.A.’s transit agency—Metro—as an unsolicited bid proposal, in line with Metro’s innovation-driven procurement efforts, The Source reports. The plan would link Los Angeles’s central transit node with the city’s baseball stadium located just two miles away in the hills above Echo Park. This gondola route is envisioned as an additional transit route meant to augment existing rapid bus service to the stadium and would ferry between 30 and 40 passengers per pod, shipping up to 5,000 passengers per hour during peak frequency. The proposal comes from former Dodgers owner Frank McCourt and other private investors—McCourt sold his stake in the team in 2015 but continues to own a stake in the sea of parking lots that wrap the stadium. The gondola line would presumably serve to augment parking revenues, perhaps freeing up some of that land for other types of development. The Los Angeles Times reports that while ticket prices have not been pinned down for the gondola, it is expected that fares would fall below the cost of parking at the stadium, which currently stands at roughly $20. 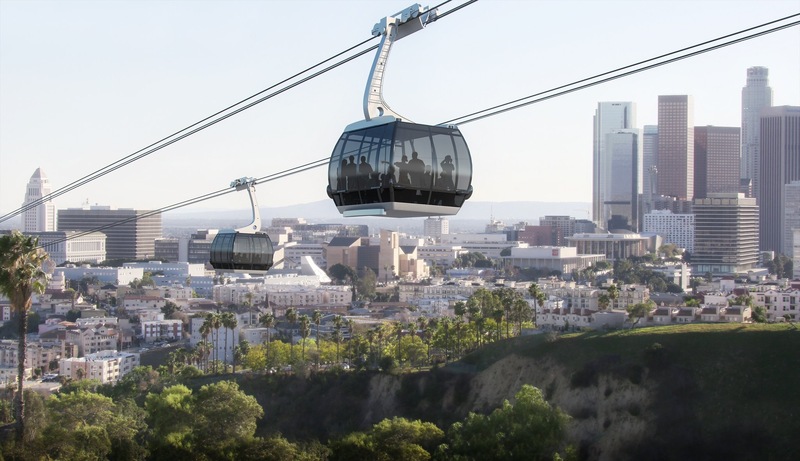 The propsal is the latest urban gondola scheme proposed for an American city in recent months and the second such project envisioned for the hills surrounding Los Angeles. Earlier this year, officials in the city began weighing weather to construct a gondola system to reach L.A.’s Hollywood sign. Project backers are looking to Metro to help prepare environmental reviews for the project with the hope that a final route will be decided by 2019 or 2020. Ultimately, the gondola team is hoping to have the line running by opening day of the 2022 Major League Baseball season.